To help visitors gain a better understanding about the city of Coventry, we have collected the following video clips and Youtube movies. These include various tourism and information guides, views of the cathedral and the Belgrade Theatre, a shopping trip around the Lower Precinct, and a film about the annual carnival and Godiva Festival. There are also videos about Coventry University, the Festival of Motoring, the Transport Museum, and nearby Warwick, Rugby, Bedworth and Stratford upon Avon. Short video featuring some of the city's main attractions, including the Cathedral, Belgrade Theatre, Ricoh Arena, Midlands Aircraft Museum, Lunt Fort, museums and galleries. 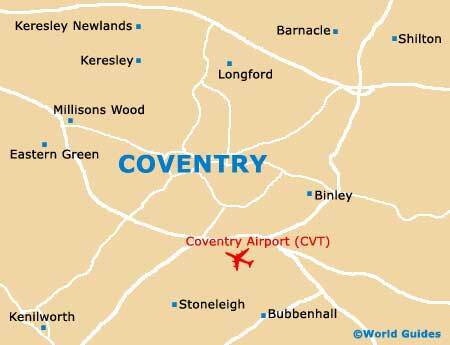 All of the video clips and films shown above relate to the city of Coventry, West Midlands, and have been carefully selected from Youtube. These films have been reproduced here to enhance your visit to Coventry, adhering to their terms and conditions for sharing online movies. World Guides does not accept any responsibility for this Youtube content. We hope you have enjoyed watching these movies.